Whether climbing a mountain, effortlessly floating down a volcano tube, or skimming the waters of a raging river in Australia, it’s the perfect place to save the world from the dark force. Nothing is ever as easy as a theory. Jackson Slater was born to a powerful family of wizards. Some are meant to destroy the earth and others to save it. Refusing to intentionally use her gift of magic, Sara Temple wants to live as her fellow mortals. It would be a contradiction to love a wizard who practices his powers. That’s how the Jackson and Sara love affair ended the first time. 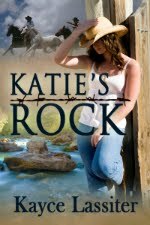 The second chance at romance wasn’t planned as Sara found herself in danger and sent a telepathic message to Jackson, the one who could save her. When the Wizard Council noted how their powers multiplied when together, it was inevitable the duo was needed to extinguish the dark forces. Try to work with someone you don’t want to like. Sara attempts to ignore his male and wizard strength just as Jackson orders himself to overlook her sensuality. 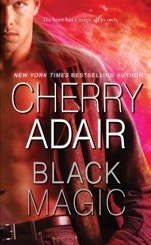 Adair creates a magical couple, forced to work together for the good of mankind. 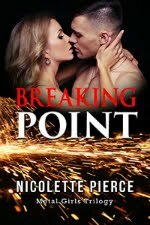 If they complete their mission, will they hastily part forever, or will the restrained and smoldering love take over and keep them together?